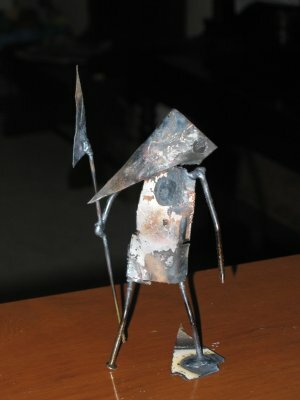 The figure below is a character called Pyramid Head, from the video game, Silent Hill. Creepy. But people seem to dig it, and I've had three orders for it so far. Hmmm... I wonder if Silent Hill is any good? Never played it. Cool works of art though!